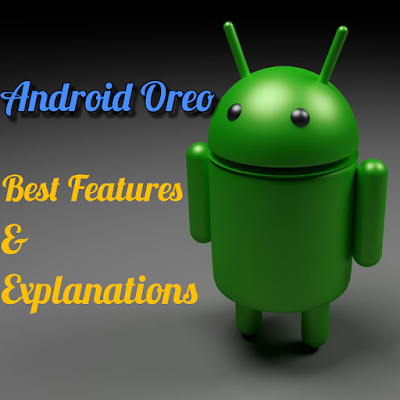 Features and Specifications of Android Oreo launched by Google | Best Comparison with Android Nougat :- Android based smartphones have been in trend since very beginning when the start up Android version with the name Cupcake was introduced. As the time passed away, Android used to gain the widespread popularity in comparison to the other mobile operating systems because the smartphones equipped with Android can be easily affordable by the people of all the classes ranging from the low income group to high income groups as well. Android is an operating system developed by Google keeping in view their target of widespread popularity targeted towards entire world and all the classes of people. The future vision of Google to gain the customer's satisfaction during the initial start up of their first mobile operating systems to latest Android based operating system till date is now proven. Maximum percentage of people all over the world are inclined to purchase and keep only Android based smartphones owing to it's rich set of features, specifications and user friendly platform. Talking about the series of Android versions launched from the initial date of it's release to current date i.e. from Android Cupcake to Android Oreo, the platform has made itself continuously updated by introducing the enriched set of features again and again in all it's versions. Android P is very soon going to be launched by Google after successful implementation of Android Oreo in most of the smartphones all over the world. 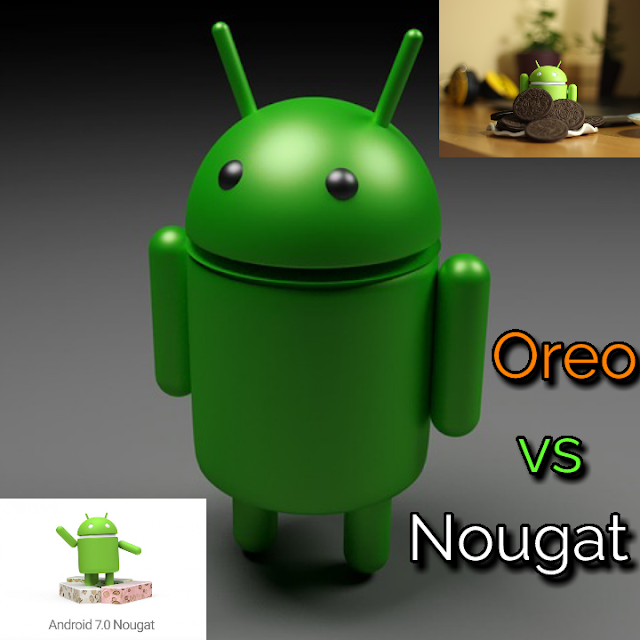 All the Android operating system versions launched by Android has got success in satisfying the consumers globally, however, Android Marshmallow, Android Nougat and the current Android version i.e Android Oreo has been kept in highest trend globally in comparison to the previous versions because of more equipped and developed set of it's built-in features. Improved notifications : Notification feature has been made more improved in Android Oreo. The notifications can be snoozed for sometimes by a default time of 15 minutes initially swiping left. Another important feature under the improved notification category is the notification dots using which the users can read the notifications just after pressing the dots merely for a bit of seconds and can also the application's shortcuts for the sake of simplicity. Quicker customization of notifications is also possible by grouping the notifications together into a channel. Instead of having to change the notification settings for the entire app, the users can now get a fine-grained control over the kinds of notifications as desired by them. There has also been some change in the notifications shade of Android Oreo owing to the fact that some of the lower notifications were used to be hidden while double swiping on the status bar in the Android Nougat version. The advanced set of features introduced in the Android Oreo is helpful to convert them into the small icons at the bottom of the notification shade for a more better user experience. Faster boot up of the system : Soon after the upgrading the device operating system to Android Oreo, a more quicker boot up of the system restoring all the essential set of built-in features can be noticed. The device upgraded to Android Oreo is empowered to delete entire cache automatically from the installed apps by the introduction of a new feature named 'per app disk space quota'. Unwanted storage of cache along with the apps slows down the system boot up which is totally removed by the introduction of Android Oreo. Improved and easier accessibility : Easier accessibility is yet another one of the best features encountered by the introduction of Android Oreo. Android Oreo provides the google search with the auto fill option which can be made activated under the 'Language and Input' section of the Settings menu. Multi Windows option can also be noticed in the Oreo using which the user can watch the videos and perform their other kinds of works in the phone simultaneously. Extended battery power : Battery power always matters when discussing about the phone's performance. If the battery power shuts down or continuously use to get decreased, it adds a kind of negativity towards the performance of the smartphones. As yet, after opening up and using the apps in the smartphones, the app used to run in the foreground and soon after closing it, it even used to run in the background too for sometimes. But, the Android Oreo has in in-built ability to stop any of the installed apps from using the background services. This facility provided by the Oreo empowers more battery life as compared to the previous versions. Enhanced audio experience for better user experience : By the introduction of Android Oreo, all the audio transitions will now be enabled using the 'Volume Shaper' feature . The 'Audio Focus Request' initially freezes the other apps when a foreground app executes on an audio rather than pausing it. Better playback provisions are even there for both the audio and the video. Far better security and usability : Phone's security is far better in Oreo compared to the older versions as it has been constructed on a Project Treble following which the device will update itself even more faster. In addition, Oreo also has 'Google Play' protect scans for the mobile apps which further helps to increase and enhance a more equipped safety feature for the installed apps. Amazing updates on built in features : With the introduction of Android Oreo, the surprising and more developed set of features has been introduced such as fifty percent camera zoom on double tapping up of the phone's screen and more rich set of emoji's collection for a more better user experience. Multi display feature empowers it's users to even immediately relocate a phone's activity from one screen to another. Advancement in app's property inside the phone : With the introduction of Android Oreo, Google has openly declared it's support for much more authenticated, reliable and trusted keyboard navigation in the apps. As compared to the Android Nougat, Android Oreo can now be noticed to use the custom pop-up win- dows rather than the standard system alert boxes for a more better accessibility and security. 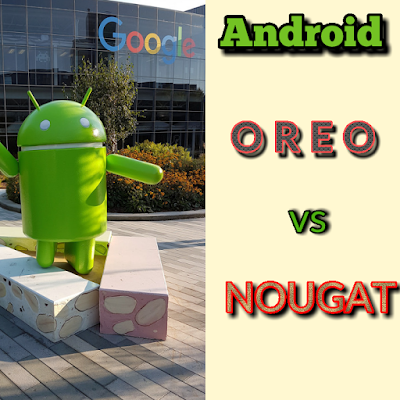 The points of discussion mentioned above can be considered an advancement by the introduction of Android Oreo soon after it's prior version Android Nougat. Though both seems to be almost similar with not much more set of differences but there even exists a much more set of differences in the terms of built-in features with Android Oreo. This latest Android version is undoubtedly the king of already launched previous versions due to it's more swifter and smarter approach. - Article about online IT certification courses by Google. http://www.technofigure.com/2018/02/Google-Android-P-to-be-launched-after-Android-Oreo.html - Stay updated with upcoming OS of Android by the name Android P.